Do you have a personal finance blog or some other web presence? Sign up for my affiliate program and earn a commission on every premium sign-up your users make. Once you sign up for the program, you'll have instant access to the affiliate portal where you can track referrals and sales stats. There's also a media section where you can get the links to several different graphics that you can incorporate on your site. All you need to do is add the link to your site and you can start earning cash immediately. Do you already have a personal finance tools section on your website? Adding a link to my site can add value to your site and you can make some extra money helping people get out debt; becoming an affiliate can benefit everybody. 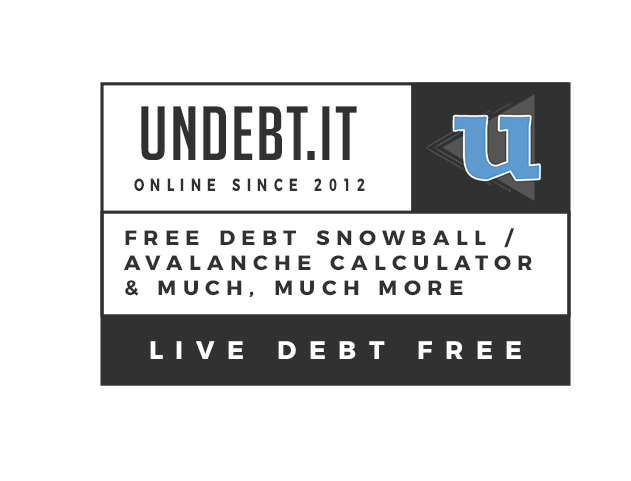 Undebt.it is a powerful debt & bill management tool and now it is possible to integrate your own branding and feature set on top of the core service. Primarily geared towards debt and credit counseling services, private labeling offers a turn-key, value added premium service you can offer your customers as part of your existing feature set. Premium Content: All of your users will have access to the premium content features of Undebt.it+. This includes advanced reporting and graphing, branded sms payment reminders and more. YNAB integration is NOT available for private label accounts. Disable/Enable Users: The admin control panel allows you to easily disable and enable your users. You only have to pay for active users. Content Management: You can control the content of pages with an integrated content management system. API Access: Integrate Undebt.it user info into your own site with a full API. Create users, get their debt free date date, etc. Realtime Twitter Feed: Automatically publish your Twitter feed on the page sidebars. Prospect Signup: The user account signup process can be customized to suit your needs. For example, you can have a "prospect" signup where they provide basic contact info and you work with them directly to promote your services. If they choose to work with you, you can create their account for them as part your own signup process. Of course, you can choose to have open signups, like this site uses if you like. Bulk User Upload: Use the provided csv template file to bulk upload your members at any time. There are two ways to access the private label site: One way is that you can provide the dedicated domain name and I will host the service on my server. The other way is to setup a subdomain on your existing site if you already have one. You simply supply your branding information such as a logo and color scheme and you will have your own custom skinned debt management tool that I fully maintain. We'll work together to come up with a concept and layout that best suits your clients needs. You don't need to worry about file backups or servers crashing. The pricing schedule is very flexible and is primarily based off of how many of your users will be using the system. Use the contact form to get standard pricing, however, pricing can be adjusted depending on the complexity of the setup involved. If you have any further questions or would like to get started, use the contact form to get in touch with me and we'll go from there.